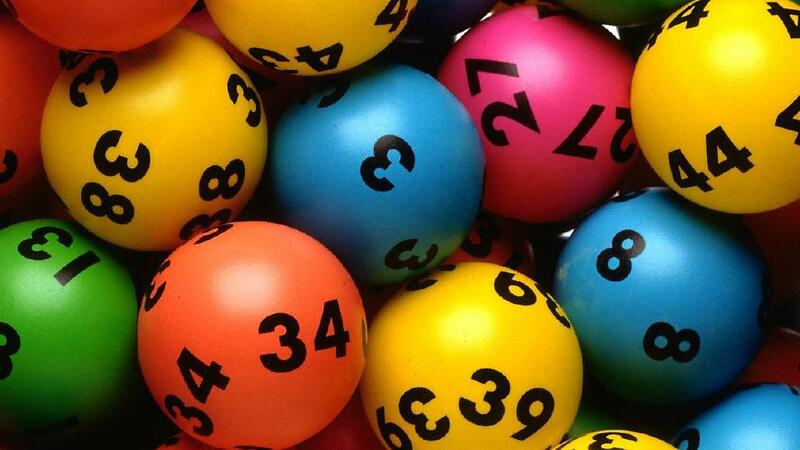 Do you know that lottery in West Australia was started for a good charitable cause? To improve the quality and living standards of West Australians the Lotteries Commission was established in 1932. 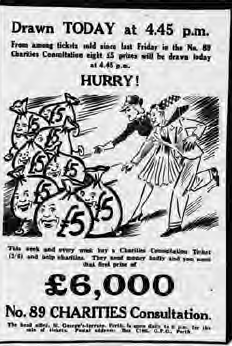 It held its first lottery and made its first grants distribution in March 1933. The revenue spent on Lotterywest’s games is returned to players as prize money, operating costs and retailer commission are covered, the balance of the money is returned to the Western Australian community. This amounts to 33 cents in every dollar spent on Lotterywest products being returned to Western Australia. The State’s hospitals and health services, the Department of Sport and Recreation and the Department of Culture and the Arts are beneficiaries of Lotterywest funding as prescribed in the Lotteries Commission Act. It makes grants directly available to not-for-profit community groups and local government authorities for charitable and benevolent purposes. It also directly supports the annual Perth International Arts Festival and local screen funding body ScreenWest. Over 75 years Lotterywest have influenced the Lottery Commission’s grant decision making and its strength has been its ability to be innovative, flexible and to respond quickly to community needs. The visual symbol which represented the Lotteries Commission of Western Australia for almost sixty years was a woman holding a babe in her arms with a small child standing by her side, with the words ‘charity’ written beneath her. The Commission’s understanding of its role within the Western Australian community, in particular, the use of the proceeds from lottery games for community benefit, was exemplified by this traditional image of ‘Charity’ and the ‘mother of charity’. 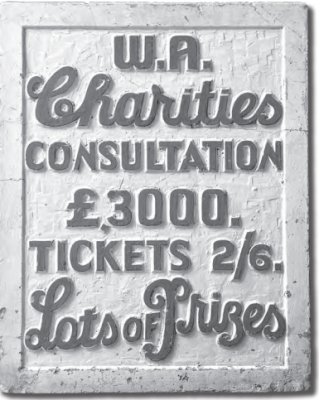 The use of such powerful imagery sought to unequivocally reassure the Western Australian community that, even though they were participating in a form of gambling, the central purpose of the Lotteries Commission of Western Australia was charity. Lotterwest is the official state owned and run government lottery for Western Australia. 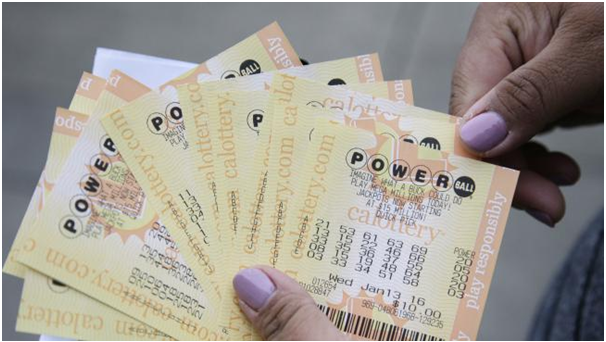 It has over 550 retail outlets in Western Australia and sells lottery tickets and “instant win” Scratch’n’Win tickets through a network of newsagents and other authorised retailers. 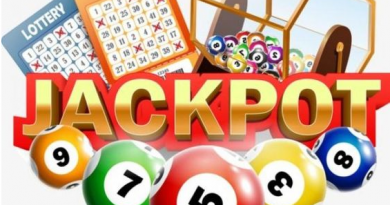 It sells national lottery games including Saturday Lotto, Super66, OZ Lotto, Powerball, Soccer Pools, Monday and Wednesday lotto; it also administers the locally run Cash 3 game. Monday and Wednesday Lotto- It is drawn every Monday and every Wednesday night. The first six balls drawn from the Lotto barrel are the Winning Numbers and the next two balls drawn are the Supplementary Numbers. 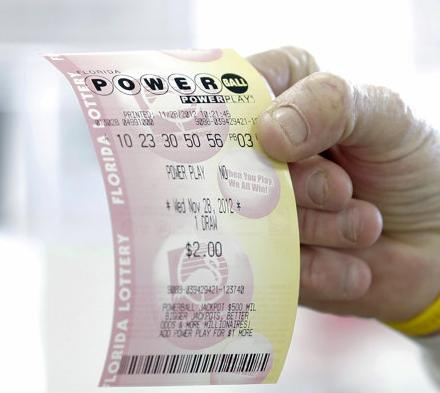 The more Winning Numbers you have in each game line on your ticket, the bigger the prize. The minimum entry for Monday and Wednesday Lotto is four games. Super66- Played every Saturday night for the change to win up to $1 million. Six numbers are drawn from 0 to 9 The idea is to match your six numbers with the six Winning Numbers in the order drawn from the barrel from either left or right on each game you have played. The more numbers you match in order, the bigger your prize. You need at least two consecutive numbers on either end that match the Winning Numbers. The minimum entry for Super66 is one game. You can buy tickets for Lotterywest Lotto games online at the website. You can also buy tickets for Lotto and Scratch’n’Win games from retailers around Western Australia. To play online you have to register yourself at the lotterywest website at the “Application for Registration” page and open a play online account to make deposits and to purchase entry ticket. You should be at least 16 years of age and a resident of Western Australia. Your identification will be verified through a third party – GreenID/Edentiti, approved electronic identification service. As part of the registration process you will be directed to the GreenID/Edentiti website where identification checks are performed in an interactive manner. Once the verification process is complete and successful, you will receive an email, with details of your temporary password to enable you to login and complete your registration. If you do not complete the registration within 30 days, your registration details may be deleted from the system. Lotterywest offers Player’s Card to make it easy to receive any prizes you win, store your favorite numbers and provide you with some protection if you lose your ticket. With a Lotterywest Player’s Card, if you forget to check your numbers your prizes will be automatically sent to you five weeks after the draw, provided they have not already been claimed. You can store a set of favorite numbers with your Player’s Card for each of the Lotto games plus Soccer Pools and Cash 3. Hand your card along with a play slip to your Lotterywest retailer and let them know you want to record your favorite numbers with your card. Anytime you wish to change your favorite numbers, simply fill out a new play slip and ask your retailer to update your favorite numbers on your Player’s Card. You can fill the application form at website or at the retailer with a one-off $10 registration fee and identification proof for acquiring the Player’s card. You must be 16 years of age or older to become a Lotterywest Player’s Card member and to purchase any Lotterywest product. Although you can’t register a syndicate or group with your card, you can nominate a syndicate name to appear on the card. If you lose a ticket you have registered on your Player’s Card, contact Lotterywest customer services. If you lose your Player’s Card, call Lotterywest customer services and you will be sent a new card. Your winning ticket is a bearer ticket. Prizes up to and including $500 can be collected from any official Lotterywest retailer. If you win a prize equal to or over $1,000 you will receive an email asking you to check your Play Online account. This does not apply to Division One prizes. Division One prizes and Scratch’n’Win top prizes must be claimed from Lotterywest during office hours. At Lotterywest address 74 Walters Drive, Osborne Park, WA 6017. For Division One prizes there is a validation period that ends 14 days after the draw. All other prizes can be claimed from Lotterywest or from payout center at Doogues Newsagency, Murray Street Mall, Perth. Lotterywest offer EFTPOS to pay prizes up to $2000, if you present your EFTPOS card. Alternatively, all prizes can be paid via Direct Credit when you provide your BSB and account number. Doogues pay prizes over $500 via cheque. If you have registered your ticket on your Player’s Card your prize will be send to you automatically if you do not claim it within five weeks. Under the Lotteries Commission Act, 1990, prizes can only be claimed and paid for up to 12 months after the date of the draw, or in the case of Scratch’n’Win, up to 12 months after the last ticket of the game was issued by Lotterywest for sale. Unclaimed prizes are returned to the WA community through Lotterywest grants.